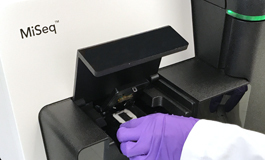 CAGEF provides a range of in-house data analysis and bioinformatic services for many of our applications from whole genome DNA sequencing to microbiome studies. Whether you want a basic breakdown of your data or a detailed comparative analysis, our experienced team of bioinformatics specialists can support your research goals. Of course if you prefer to run your own analyses, you can check out our resource page for helpful links and information. For all our services, customized analyses are available on request. No additional analyses, FASTQ sequences generated by the Illumina pipeline. The CAGEF-supported Bio-Analytic Resource (the BAR) provides user-friendly web-based tools for working with functional genomics and other data. Most are designed with the plant (mainly Arabidopsis) researcher in mind, but a couple of them can be useful to the wider research community.